Illuminated 15 line leaf with vines and strawberries on the outer edge of the leaf. 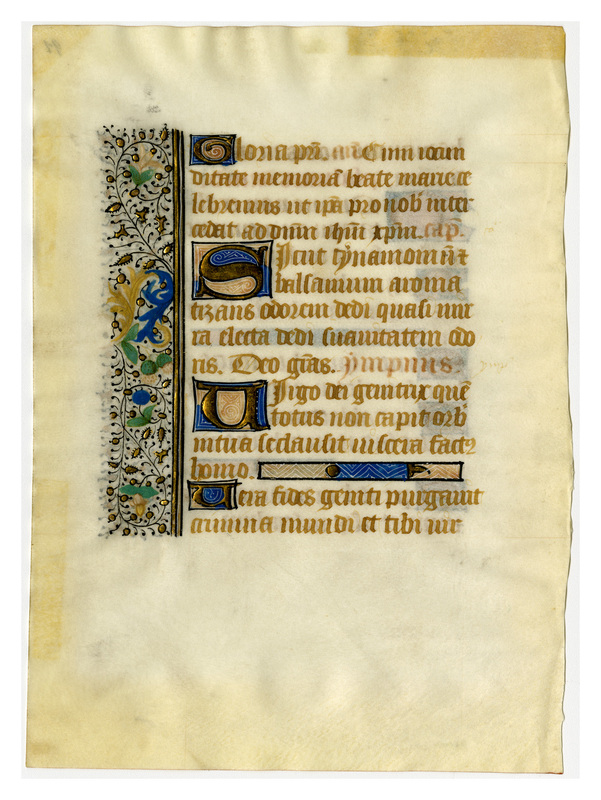 Foliated with a 97 in the upper right hand corner of the recto side of the leaf. 300 dpi JPEG; 125-128 mmx176 mm. 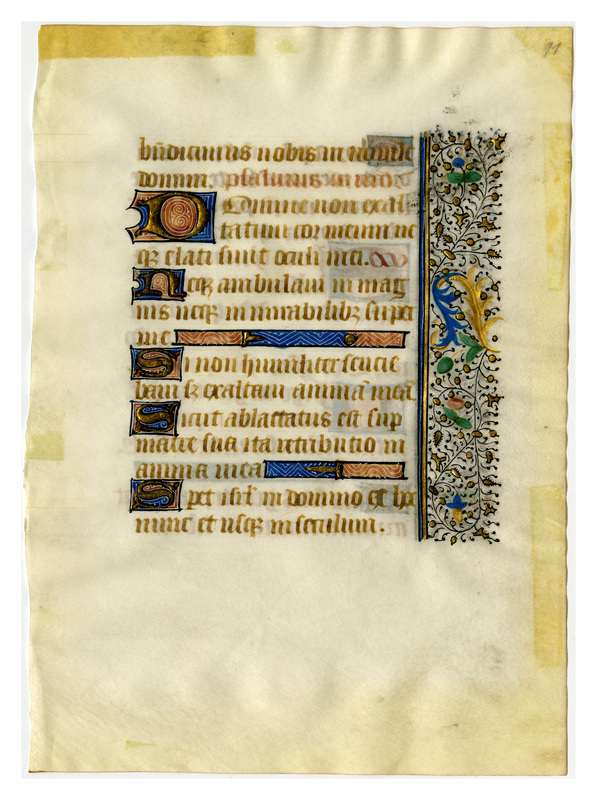 “Leaf from an unknown Book of Hours,” Digital Exhibits | Denison University Archives & Special Collections, accessed April 23, 2019, http://exhibits.denisonarchives.org/items/show/75.